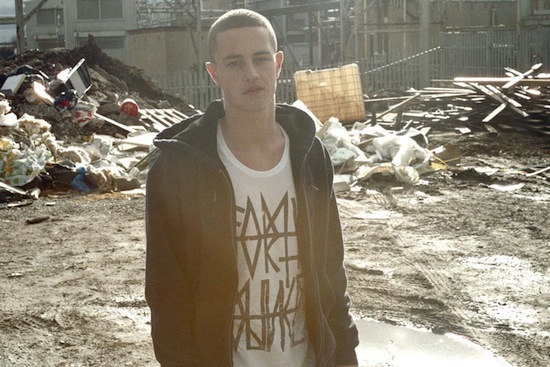 The last time we heard from Evian Christ, he was hanging out that national park loving fellow in Paris hotel rooms and cavorting around the globe performing at posh night clubs. I was lucky enough to catch EC at Decibel Festival back in September and while the soundsystem and crowd might have been lacking, the performance showed a new side of the Kings and Them producer and saw him trending towards both the jagged edges of the Warp Records catalogue and the big room sounds of his new contemporaries in the rap music world. In early 2014, Christ will release a new EP, titled Waterfall, on Tri Angle, an effort that will likely get exponentially more attention than his first effort on the label did. “Salt Carousel” is representative of the bolder textures, more pronounced drums and all around larger sound that EC will probably take into the future. Expect big things in realms beyond popularity come 2014.